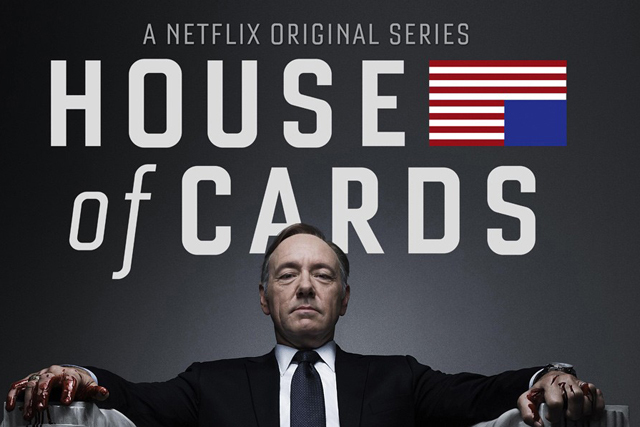 The streaming revolution may feel like hype, but Netflix's House of Cards shows that the on-demand world is here to stay, writes Nicola Kemp. Waiting is dead. Netflix may have invested $100m in David Fincher's beautifully directed House of Cards; but I binge-watched the entire 13-episode first season in just two sittings. Granted, the combination of a cold and pregnancy-induced exhaustion has made me particularly sloth-like; but freed of the time and scheduling restrictions that broadcast television imposes, why wait for the next episode? For many marketers it may feel like the on-demand revolution has been long-promised, but has never actually materialised. However, with consumers demanding instant gratification in ever-more areas of their life, ignoring the shift toward streaming services would be a grave mistake. Netflix now has more than 33m streaming subscribers worldwide, more than 25m of whom are in the US. Moreover, the company is in the midst of an aggressive international expansion campaign. Reed Hastings, chief executive of Netflix, has described the current broadcast-TV landscape as 'managed dissatisfaction'. However, in the emerging multi-device, on-demand world, where we are no longer subject to endless re-runs of Midsomer Murders, the power is, at last, in consumers' hands. 'Content is king' may well have been the battle-cry of executives across TV-land for decades; but the reality of adversarial - or just plain contrary - scheduling, multiple and crowded ad breaks and slashed budgets have all combined to create a particularly challenging environment. Add to this the continued threat of digital piracy - fuelled, in part, by the absurdity of geographic rights restrictions in an age of global digital communication and entertainment - and it becomes clear that following a 'business as usual' strategy is no longer an option for brands. Yet many seem content to do just that, still viewing the 30-second spot and 'appointment to view' television as the crux of their marketing campaigns. Faced with the growing army of viewers who now consume media content on their own terms, this approach is dangerously out of touch. When you are on the cusp of change, maintaining the status quo is just another form of self-denial. Nothing is more damaging to business than a determination to maintain existing business models. Marketers must avoid getting bogged down in arguments over which media channel is most effective, and focus on long-term shifts in consumer behaviour. Brands can no longer simply rely on media channels to segment their target audiences. On-demand content gives platforms like Netflix the opportunity to create highly targeted interfaces. The proliferation of digital channels and streaming services has made the competition for eyeballs increasingly fierce. Yet, as the plethora of YouTube successes show, content creators are no longer at the mercy of traditional broadcasters. It isn't just film studios that must embrace global release dates. Consumers simply will not wait for content. Geographical rights restrictions are of a bygone age. Brands and media-owners must do more to meet demand for 'all-you-can-eat' content and instant gratification. Does Breaking Bad show that people are hooked on online video?